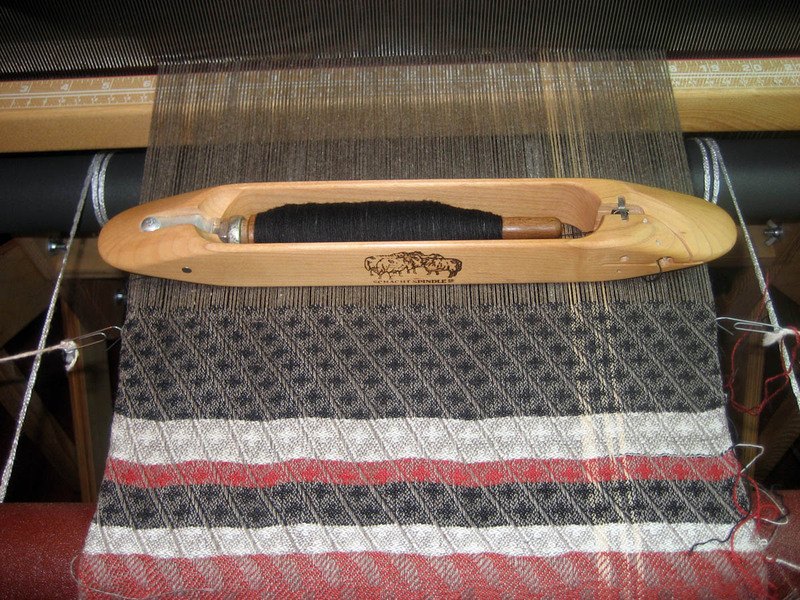 You are here: Home / All blog posts / Up and weaving! Previous post: Bought the AVL! 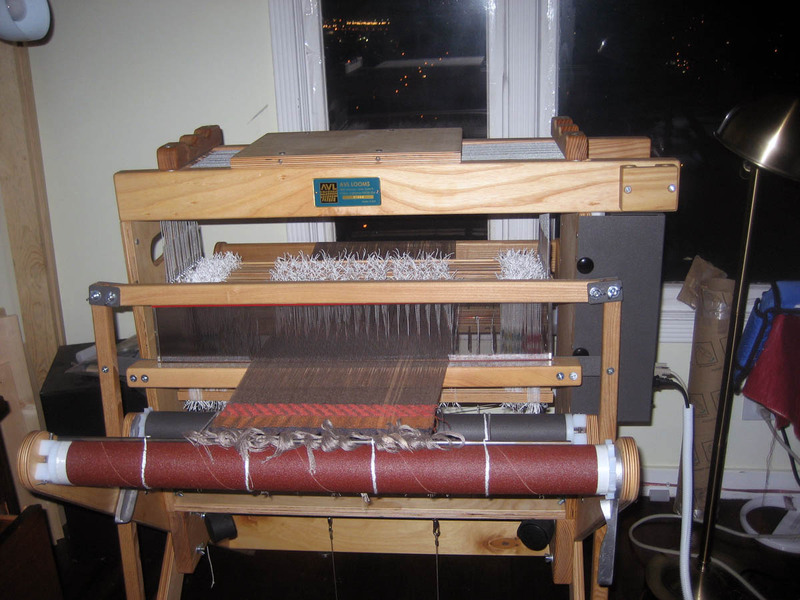 After dinner with friends, I got back home and played around a bit with the new loom.Â It came with a gorgeous silk-yak warp on it, shimmery gray with what looks like a beige tussah silk (?) stripe in one section.Â I picked a 24-shaft straight draw draft out of Handweaving.net – I normally prefer to design my own but in this case I really just wanted to get weaving – and wove 1/2″-1″ samples in white silk, white cashmere, garnet cashmere-silk, and black cashmere.Â Finally I decided I liked the black cashmere best, and started weaving in earnest. The AVL workshop dobby loom weaves like a dream.Â The shafts lift smoothly and in unison, with precisely the same shed.Â It’s quieter than any other loom I’ve used (not silent, but pretty quiet for a loom).Â My one complaint is that it is somewhat difficult to treadle, probably because of the weight of 24 shafts.Â I can see where, if one went to 40+ shafts, or even a wider width, an assisted lift would become really helpful.Â But it seems to be quite manageable, at least for the short time (~20 minutes) I spent actually weaving. Look Ma, no skipped threads! !